Today’s Veggie Challenge recipe is an easy one! Add a little water to the bottom of the crock pot with two teaspoons of olive oil. 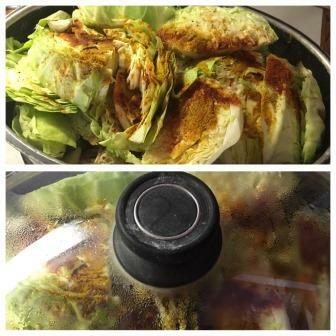 Chop up two cabbages and place inside the crock pot. Sprinkle liberally with ground cayenne pepper. Put the lid on and cook on low for about 4 hours. Stir after a couple of hours if you are home. This makes a great side dish. 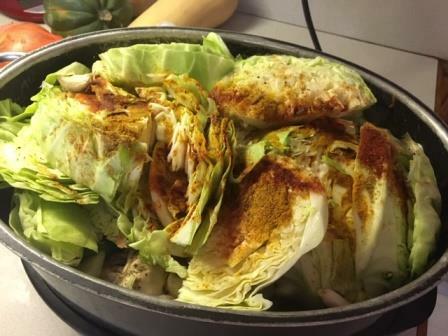 The spicy ground cayenne pepper gives a kick to the smooth texture and flavor of the spicy cabbage.